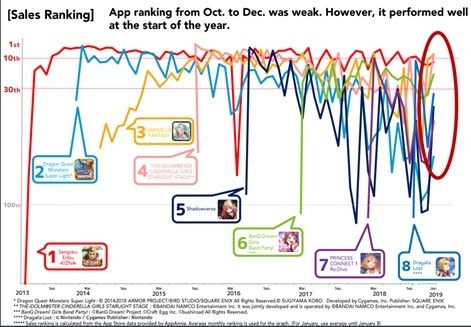 CyberAgent has cut its year-end operating profit forecast by $90 million just three months after Dragalia Lost failed to make the expected impact upon launch. Sales for the three months ending December 31st were actually up 13.2 per cent year-on-year to ¥110.8 billion ($1 billion). Operating profit however fell to ¥5.3 billion ($48m), down from ¥8.2 billion ($74.2m) the year prior. Revenue for the company’s games business was up 7.8 per cent year-on-year to ¥36.3 billion ($328.4m), but operating profit fell substantially by 43.4 per cent to ¥3.1 billion ($28m). While not specifically called out by name, it’s suggested that a game released at the end of September has underperformed massively against expectations. 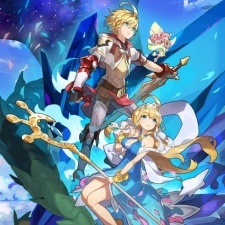 The company released Dragalia Lost on September 27th, making it likely this is the game being referred to. The title was developed by Cygames, with Nintendo partnering up and taking a five per cent stake in the CyberAgent subsidiary ahead of its launch. Initially bullish about the title following a good start, a month later CyberAgent issued an earnings forecast for the year of ¥30 billion ($271.4m). However, CyberAgent president Susumu Fujita admitted in a blog post to investors that this was a mistake and has dropped that prediction by $90m to $181m. It had been hoped the game’s revenue would absorb increased investment in areas of the business such as AbemaTV, as well as better cover advertising costs for its new games, but it was not enough. “This forecast was issued based on the company-wide success brought by the release of a new game in the past but I now regret relying too much on a single game title,” said Fujita. “Toward the end of November, I realised that the amount charged was not increasing in proportion to the increasing number of game users and decided to put a brake on the overall inflated costs. CyberAgent revenues reach $3.28 billion thanks to continued strong performances of Shadowverse and BanG Dream!